Friesian Directory - O Horse! 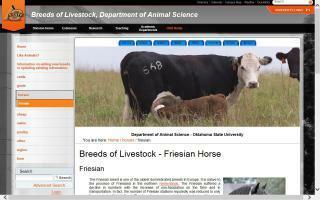 Oklahoma State's breeds of livestock - history and information about the Friesian horse breed. Trainer of The Friesian Spectacular performance horses; offers long reining and carriage driving clinics, Rein Dance ground driving supplies, and video instruction on DVD. A database of pure-blooded registered Friesian Horses, and (coming soon) expert advice regarding their care, health, training, rearing, and sales. Welcome to the Friesian Marketplace Tack Emporium! We have quality Friesian tack for sale on the marketplace. We have been working for several years designing and selecting tack and other products to use on our Friesians, and we want to share with all Friesian owners! These are our absolute favorite things that we use every day on our lovely Friesians. All of our items on our Friesian Favorite list we have selected because they fit well, are easy to use, are durable, AND look just phenomenal! No more looking around trying to find tack and products that work for your Friesian. We have what you need for your horse, including Friesian bridles and Friesian saddles. The Friesian Marketplace Tack Emporium is a one stop shop for Friesian needs. We have tried all of these products, and we recommend all of them! We are so excited about offering these quality products to all of the wonderful Friesian owners. 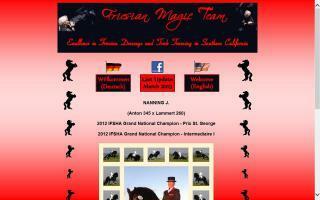 Friesian-Magic-Team. Dressage and Trick-Training, Sales and Shows with Friesian Horses. 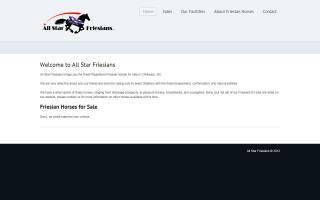 Dealer of Friesians and Irish Cob horses. Find a short history of each breed.